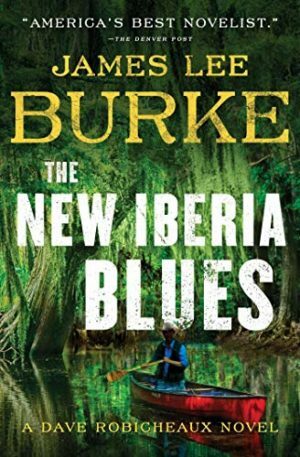 The Washington Times published my review of James Lee Burke’s The New Iberia Blues. Fans of James Lee Burke’s character Dave Robicheaux are glad that the New Iberia, Louisiana, Cajun detective has returned in “The New Iberia Blues,” a sequel to last year’s “Robicheaux.” They should also be glad to know that Mr. Burke is currently working on the third novel to this trilogy. In “The New Iberia Blues,” Dave Robicheaux, an elderly but physically active sheriff’s detective, pays a visit to Desmond Cormier, whom he knew in New Orleans when the young man was a street artist with ambitions to become a Hollywood director and Dave Robicheaux was a New Orleans police officer. Desmond Cormier was raised by his poor grandparents on the Chitimacha Indian Reservation in the back room of a general store on a dirt road before the casino operators came to town. Like his grandparents, he belonged to that group of mixed blood Indians unkindly called redbones, the Cajun detective tells us. A thin and frail boy, he lifted weights and became large and muscular. He later waited tables in the French Quarter and was a street artist when he told Robicheaux that he was going to make movies. When Robicheaux appeared skeptical, Cormier asked the Catholic police officer if he still went to church and Robicheaux replied that he did. “That means you believe in the things that are on the other side of the physical world. That’s what painting is. That’s what making movies is. You enter a magical world others have no knowledge of,” Cormier said. While visiting Cormier 25 years later in New Iberia, Robicheaux looks through Cormier’s telescope and sees a young woman floating in the bay on top of a wooden cross. Both Cormier and his sinister houseguest, Antoine Butterworth, deny seeing the girl, but a young sheriff’s deputy confirms what Robicheaux saw. And the homicide investigation begins, while new bodies tally up the number of ritualistic homicides that may be related to the young woman nailed to the floating cross.